India being the largest exporter of handicrafts in the entire world, posses a rich heritage of handicrafts and artistic products. Indian handicrafts have great economical value as well which promotes engagement of people in the handicrafts related business activities. 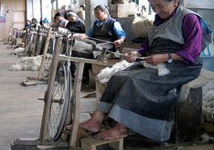 Handicraft business includes production, supply and export of handicrafts. The idea is to provide business solutions and opportunities to handicrafts manufactures, exporters and material suppliers under one roof. It is a perfect destination for handicrafts business. Here the supplier meets the buyer. It aims at creating link between the dealers needing each other for fulfilling their business objectives. The Indian handicraft industry is growing at a large scale and adding both money and employment to the economy. Adorable, Authentic, and Utility Arts and handicrafts. Indian handicrafts are wonders in themselves. These can enrich the beauty of location wherever they are placed. The out of box designs and materials used for the production of these crafts makes these unique and distinctive from other decorative items. 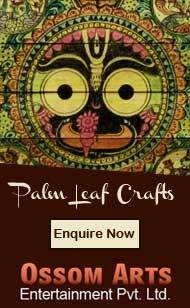 Indian handicrafts offer real value of your money by serving eye pleasing visual experiences. Most of these handicrafts are long lasting and remain same for years. Indian handicrafts are handmade items employing variety of materials and craftsmen skills. The designs of these handicrafts are often inspired by Indian cultures, mythologies and religions and reflect a touch of Indian traditions. Needlework are the creations and artistic work done by skilled craftsmen over a variety of fabrics with the application of needle, threads and other materials. 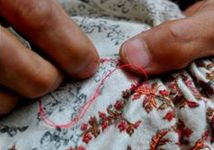 These are handicrafts created through creative sewing and textile art. 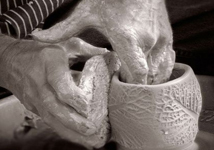 Pottery includes a variety of clay and ceramic handicrafts developed by skilled artisans making use of mud and other earthen materials. Indian Pottery handicrafts are famous all around the world. Spinning is the textile process of converting fibers into yarn then in fabrics. Indian posses a rich heritage of fabric handicrafts and arts. Indian fabric based handicrafts are known for their inventive and traditional designs, unique weaving techniques. 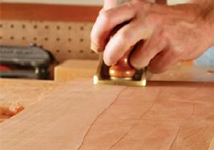 Wood Work is all about wood carving work on word to create exotic designs over a wood or any other surface. Wood Work can be done with a variety of caving method including various types of wood handling tools .